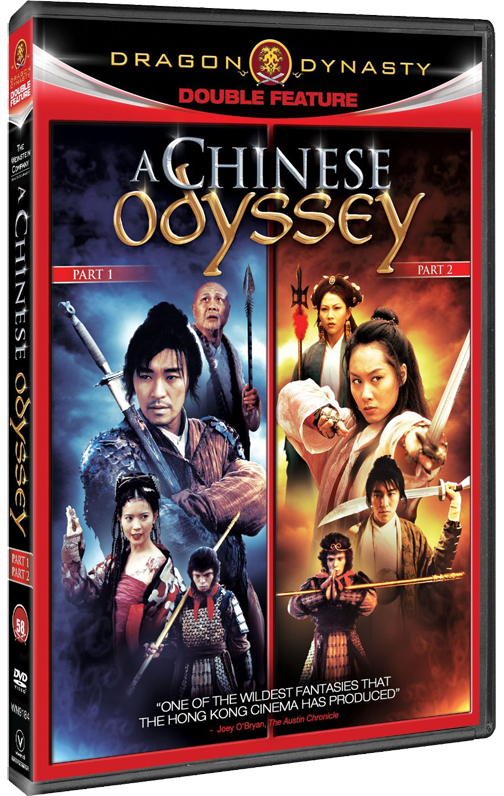 A Chinese Odyssey is definitely up there as a source of inspiration. Written and directed by Jeffrey Lau and starring Stephen Chow, this wuxia-infused comedy mixes humor and action in a style similar to other Stephen Chow movies but on a much more epic scale. It is divided into two films: Pandora’s Box and Cinderella. Both parts were released in the same year, but each one does have a distinct feel from the other. Based on the 16th century novel Journey to the West, A Chinese Odyssey is the story of Monkey King over 500 years and two lifetimes. It is a love story and a tale of redemption. The plot is somewhat complex, but it begins with Monkey King standing before the judgment of the bodhisattva Guanyin for plotting against his master Longevity Monk when he was supposed to be travelling west to obtain scriptures. Guanyin decides to kill Monkey King, but Longevity Monk offers to take his own life to spare his disciple. The film jumps forward 500 years to a band of robbers led by a man named Joker. The robbers encounter two demon sisters (Lady Spider and Jing-Jing) who try to kill Joker, believing him to be the reincarnation of Monkey King. And they are not the only ones. Another group, led by Bull King, soon arrives seeking the Monkey King as well. In a complex series of events, littered with slap stick, part one ends with Joker falling in love with Jing-Jing, and finding Pandora’s Box in a cave during a massive showdown with Bull King and Lady Spider. Lady Spider, who is impregnated by Joker’s second in command, tricks Jing-Jing, telling her the child is Joker’s. Jing-Jing kills herself in a fit of despair, leaving Joker to stumble upon her corpse. Using Pandora’s Box, which here is some kind of time travel device powered by moonlight, Joker goes back in time over and over trying to stop Jing-Jing from killing herself. Eventually he goes back too far into the past, five hundred years and this leads to part two. 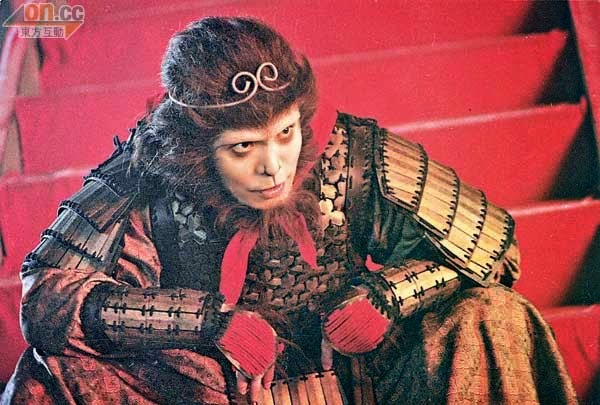 In the past, Joker learns he is an incarnation of Monkey King but is desperate to find Jing-Jing again. He meets an immortal named Zixia, who falls in love with him. She is later revealed to be the human form of Buddha’s lampwick. Joker enters into conflict with Bull King, and meets Longevity Monk. After Bull King kidnaps Zixia to take her as his concubine, Joker finds Jing-Jing (but five hundred years before he met her) and asks her to marry him. She agrees but leaves when she realizes he really loves Zixia. Jing-Jing’s sister, Lady Spider, arrives and cuts Joker’s throat. Dying he hears Guanyin who asks him to resume embrace his fate as Monkey King and wear a golden circlet. The circlet she tells him will grow smaller and cause pain the more he clings to worldly things. He then goes to rescue Zixia and Longevity monk from Bull King in an epic battle. Zixia dies saving Monkey King from Bull King, and his band shrinks as he tries to hold on to her (eventually letting her go). He then goes west with Longevity Monk as he was instructed by Guanyin, but not before seeing another incarnation of himself and Zixia in a city on the way. He uses his powers to encourage them to kiss, and then walks away. There is a lot more to this movie than those two paragraphs can convey, but I just wanted to give the basic skeletal structure of the film. The first part of A Chinese Odyssey is heavy with humor and slapstick. There is a surprisingly funny recurring groin kicking joke, where Joker’s loins catch on fire and his men have to stomp out the flames. In the initial time travel sequence with Pandora’s Box, Joker’s repeated failed attempts to go back and save Jing-Jing are enormously funny. Again, it is similar to many other Stephen Chow films in this respect. The second part is also humorous but focuses more on the love story and Joker’s transformation into Monkey King. However, part two contains one of the most bizarre and hysterical musical sequences I have ever seen, with Longevity Monk attempting to convince Joker to embrace his destiny by singing a greatly modified version of the Platter’s Only You. It is one of the more unexpected moments in the movie (Here is a link if you’d like to see for yourself : https://www.youtube.com/watch?v=dMhFul1peSQ). 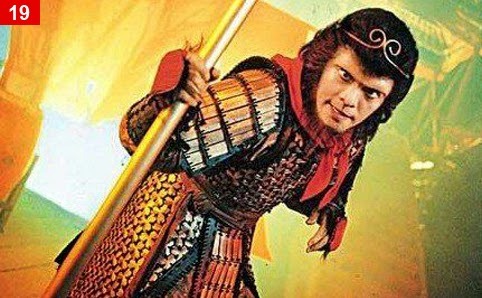 The action director was Ching Sui Tung, and the swordplay and martial arts really stand out. There is plenty of humor, but the choreography is still taken seriously and well executed. Just like most wuxia movies can rapidly change tone, going from serious to funny in a heartbeat, A Chinese Odyssey, moves from one tone to the next as well, but is just more firmly planted on comedic ground. I definitely recommend this to anyone with an interest in the genre. There is also lots of great content for gaming. All the supernatural and time travel elements would work great in a campaign.